Strangely enough, the OnePlus 3 and 3T got their July security patch before the OnePlus 5 and 5T but the wait is worth it because the last two handsets are now equipped with some brand new features. 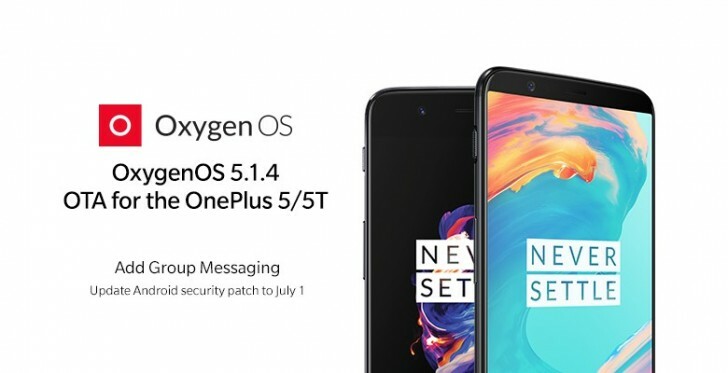 The OxygenOS 5.1.4 OTA update bumps up the security patch of both devices to July 2018 but more importantly, it introduces a cool new battery-related feature. It's called "Sleep Standby Mode," which reduces the amount of power drained while the device is not used. In the OnePlus forum post, the company explains that the device intelligently tracks your usage patterns and when you are asleep or not using the phone at some point of the day, it turns off all networks in order to save on battery life. It will then cancel any network restrictions and get out of Sleep Standby right before you wake up, so you don't miss on any important notifications. Sadly, the update doesn't bring any of the changes promised during Open Ears Forum in India, but they will probably be implemented in the following patches. Also, we are eager to see Google's Project Treble make its way out of beta. Oh, and don't try downloading the update via VPN, it's a staged rollout to a random number of devices and not region-specific. After updating to the latest 5.1.4, my 5+ is taking forever to finish the Android update - it's been over 24 hours and it's just 66% done Anyone else facing the same issue? When will the battery improvement option will be available for 3t?